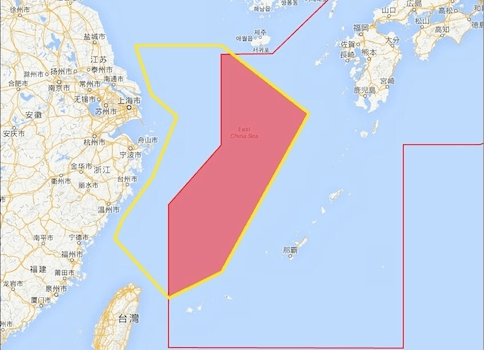 China’s Navy ships moved to the Western part of the Pacific for military exercise. 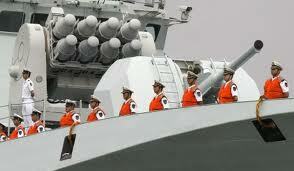 In response Tokyo expressed its concern about the growing naval activity of the Chinese Armed Forces in that region. The US decision to station forces in the Philippines could have dangerous repercussions. Beijing may enact economic sanctions after Manila invited in US troops in response to an escalating territorial dispute over the South China Sea. ­Dr. Pak-Nung Wong of the City University of Hong Kong told RT that the Philippines is merely cashing in on America’s move. “At the international level, the Philippines knows that the US has definitely returned to Asia – refocusing its military and security deployment in the Middle East and Asia-Pacific, targeting China and Iran as the primary security concern,” he said. 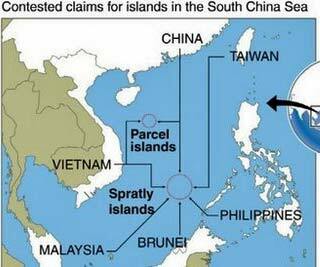 With an eye toward China’s growing influence in the South Pacific, President Obama and the Philippines are negotiating a greater US military presence on the island nation, the Washington Post said. 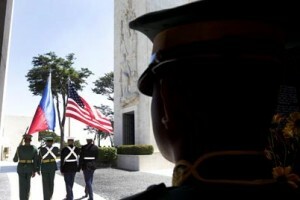 Discussions are to continue Thursday and Friday in Washington, but it appears the US military will return to the Philippines 20 years after losing its foothold there. American troops left Subic Bay in Philippines in 1992 because a new treaty could not be signed. A volcanic eruption a year earlier forced them from Clark Air Force Base. 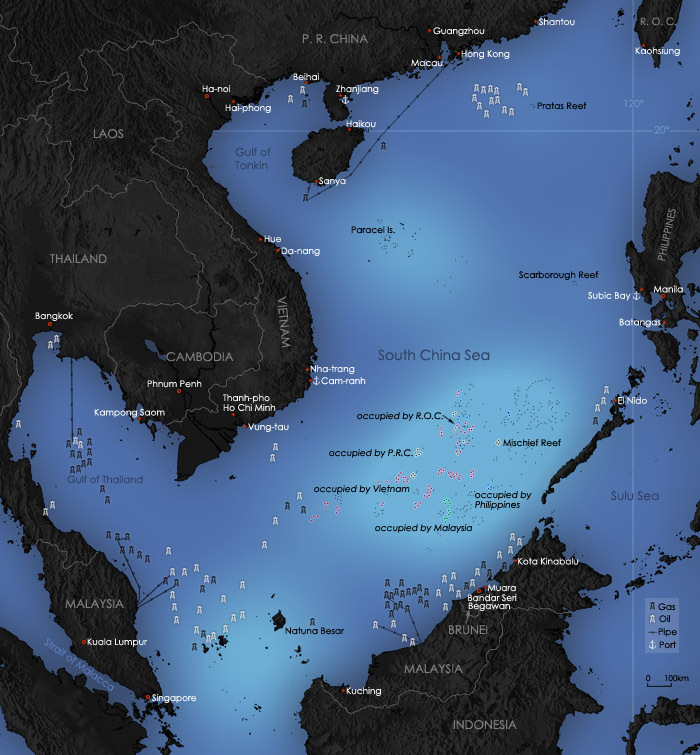 In his September-October 2011 Foreign Policy article (“The South China Sea is the future of conflict”) Robert D. Kaplan clearly outlined the importance of the South China Sea, which will make it the convergent point of conflict between the US and China. A national security and geopolitics expert, Kaplan is the author of many books on these topics and is a member of the Defense Policy Board of the US Defense Department. The US Army’s Special Forces, the United States Marines, and the United States Air Force have tapped Kaplan as their consultant. Per Wikipedia, he also “lectured at the military war colleges, the FBI, the National Security Agency, the Pentagon’s Joint Chiefs of Staff, major universities, the CIA, and business forums, and has appeared on PBS, NPR, C-Span, and Fox News. He is a senior fellow at the Foreign Policy Research Institute. New Delhi: The Indian and Chinese navies were involved in a face-off in the disputed South China Sea. A Chinese warship confronted an Indian naval vessel as it left Vietnamese waters in July but the Indian Navy has denied the reports. According to reports a Chinese warship, which remains unidentified, confronted India’s INS Airawat, an amphibious assault vessel, and asked the ship to identify itself and explain its presence in the South China. London-based Financial Times reported that the Indian warship was in international waters after completing a scheduled port call in Vietnam.